Frais et lumineux, condo rez de chaussée, piscine et pas d'escalier. Notre condo climatisé est au premier étage d'un immeuble de quatre étages. Pas d'escalier. Le complexe dispose de sa propre piscine chauffée et bain à remous. Courses au supermarché local est à une courte promenade. Lely station propose deux terrains de golf publics. Près des plages de Naples et Marco Island. Le salon dispose d'un écran plat 42 'télévision. L'unité dispose d'une chambre principale avec un lit king-size et un ventilateur de plafond supplémentaire. Il y a une télévision à écran plat dans la chambre principale, avec une salle de bains attenante. La deuxième chambre comprend deux lits jumeaux. Les deux salles de bains sont équipées de toilettes à hauteur de confort (17 '). Serviettes de plage et chaises de plage disponibles. Nous avons donc petits-enfants, si vous avez un petit enfant qui voyage avec vous, nous avons un pack n'Play (lit parc) et les sièges d'appoint (chaise portable) disponibles pour votre usage. Pas d'animaux, pas d'exceptions, ceci est un règlement de copropriété. Ne pas fumer. We had a wonderful stay in your condo. It was clean, comfortable and spacious. The outside grounds were well maintained. The location was perfect - a “stone’s throw” from Marco Island which we love and a short drive to Old Naples. We have stayed in many vacation condos in Naples and yours was the best! We plan to come back! We really enjoyed our stay in Coral Falls. It is a very nice facility, close to shopping, restaurants and not too far to the beach. The unit was clean and well equipped. Our owners were friendly and helpful. The welcome bottle of wine a nice touch. We’re planning on staying there again in 2019". This was a great experience for us. The unit was clean, comfortable and well equipped with everything you could possibly need. 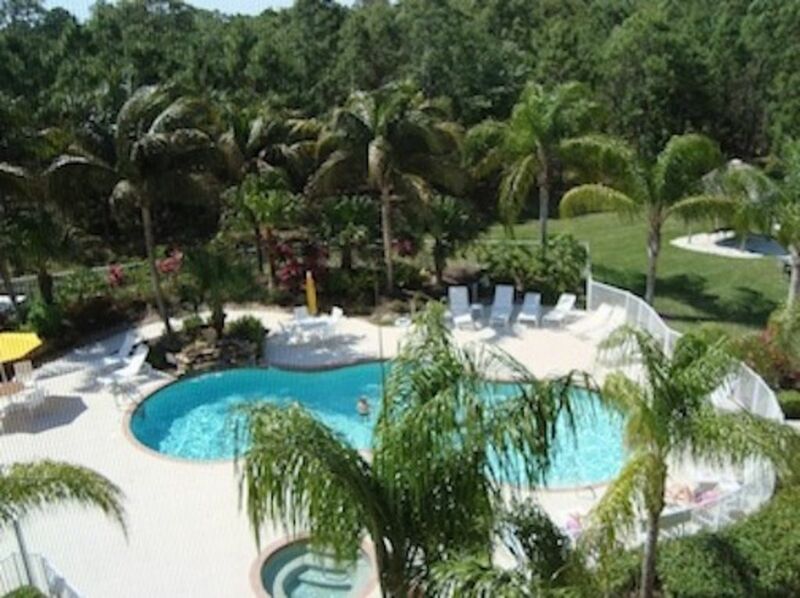 The location was great, just 20 minutes drive from downtown Naples. Close by, there are shops and restaurants within walking distance. The complex has a great pool area with a heated pool and hot tub, which is kept clean and tidy at all times. When we arrived at the condo we were greeted with a bottle of white wine and a lot of useful information about the area. I can highly recommend this place. It felt like home. Very convenient location and housekeeping service was good/clean. Unit is very dated, carpets stained in spots, AC filter was black with dirt and had to buy ant traps for the kitchen countertops. Many thanx for your comments; we appreciate feedback from our guests. We’re glad to hear that you found the location convenient and the unit clean for your arrival. South Florida has a semi-tropical climate, especially at the time of year you stayed, and visitors should expect to see ants, geckos and centipedes. We apologize for the dirty filter; we’ll make sure to replace it. We also plan on replacing the carpet for the upcoming winter season. We’re sorry our cleaning staff were unable to locate your wife’s earrings. Very nice property. Even had wine as a welcome present ! Nice facility and quiet. The location is close to everything. The owner was very helpful. Fun, fun, fun and oh yea warm weather. Coral Falls est idéalement situé à proximité d'un centre commercial comprenant un supermarché Publix, banques et restaurants. Il ya des courts de tennis et de golf à proximité de Lely. La bibliothèque régionale du Sud est à une courte distance en voiture. A 15-20 minutes en voiture de plages de Marco Island ou de Naples lui-même.